For more than 70 years, Vald. Henriksen keeps on demonstrating to be one of the mayor players in the market for Jigger processing. Since the introduction of the current generation Jiggers at the turn of the century, textile factories all over the world are working with this machine. 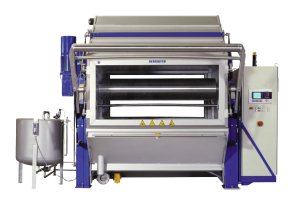 Because of its advanced features to control both process and fabric tension, the Vald. Henriksen Jigger nowadays can be considered as a full scale production machine, as compared to a machine for small batches or occasional repair works. The latest generation Jiggers, both high temperature and atmospheric, in large and small size have been installed in Moldova, Angola, Argentina, Belgium, Russia, UK, China, Pakistan, Mexico, Turkey, Belarus, India, Thailand, Lithuania, Hungary, Ethiopia, France, South-Korea, The Netherlands, Egypt, Czech Republic, Vietnam, Germany and Italy. Based on more than 70 years of experience in market leadership with more than 8000 machines supplied worldwide, Vald. 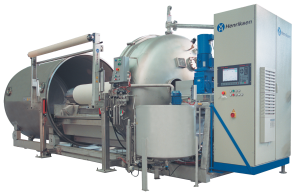 Henriksen continues to provide the technology that sets the standard in all fields of Jigger processing. With jiggers installed all over the world, it requires a well-organized service and support organization to keep them fit. We offer tailor made service contracts to guarantee the highest system availability as well as helpdesk-support and service visits.